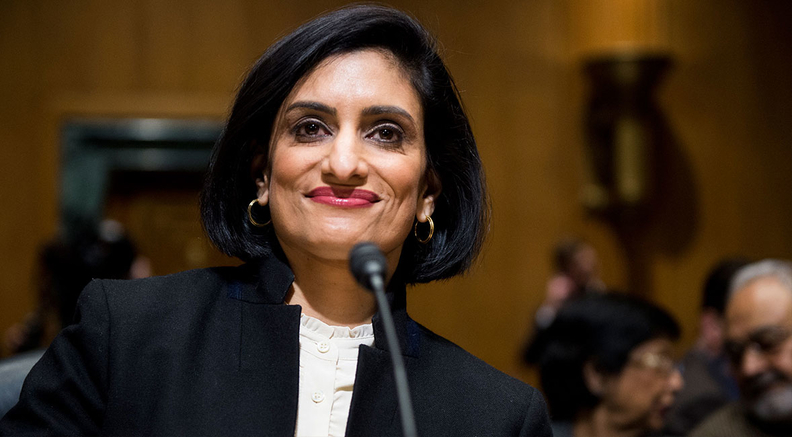 CMS Administrator Seema Verma maintained on Thursday that Medicaid work requirements are operating as intended despite criticism that poor individuals will lose coverage under the policy. "I have heard the criticism and felt the resistance, but I reject the premise and here is why: It is not compassionate to trap people on government programs or create greater dependency on public assistance as we expand programs like Medicaid," Verma told policy insiders at a Medicaid Managed Care Summit Thursday in Washington. Although more than 4,300 Medicaid expansion enrollees in Arkansas are losing coverage because they did not comply with the state's work requirement mandate, Verma noted that the vast majority of expansion enrollees had some type of employment before the policy kicked in. More than 1,000 Arkansas Works enrollees have found jobs since the program began in July. Verma highlighted how one man went from being unemployed for nearly a year to securing a job making $17 an hour. Another woman on Medicaid is starting school to become a nurse. "This is earned success. It is not granted by government, but realized through sweat, toil and initiative," Verma said. "Imagine the impact that this has had on the lives of those individuals and their families. These are only a couple of examples—but the fact is that these two lives, and potentially many more, have been steered onto a pathway out of poverty." The CMS will continue to back work requirements, and Verma echoed President Ronald Reagan by saying "we should measure welfare's success by how many people leave welfare, not by how many people are added." She encouraged states not to be discouraged by the potential administrative costs of implementing work requirements, which have not been quantified by either the agency and states. "We view these as important investments that help build capacity for states to address the whole human needs of their beneficiaries and ones that can pay dividends as we aim to end cycles of generational poverty," she said. Interest in the waivers has skyrocketed recently as Alabama, Michigan, Tennessee and Virginia all posted draft waivers on their Medicaid websites this month. They will gather and analyze comments before sending the proposals to the CMS for review. Arizona, Kansas, Maine, Mississippi, Ohio, South Dakota, Utah and Wisconsin already have sent their waiver requests to the agency and they are pending review.